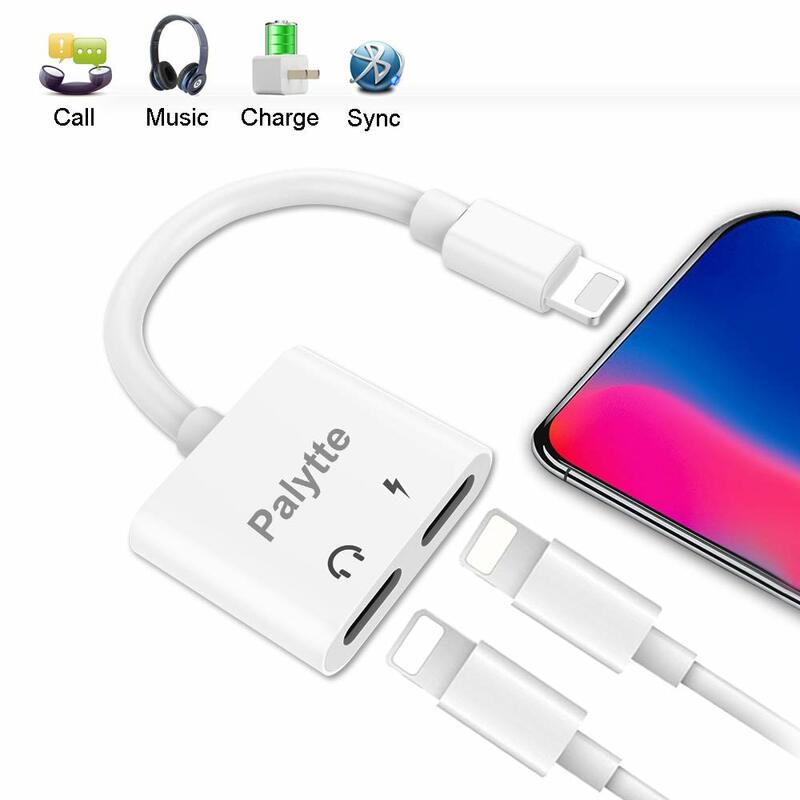 2 in 1 8 Pin Adapter charge your phone and use headphones at the same time(support IOS 10.3 or later) . Not only for charging, data transmission is also available. Support remote mic control and compatible with 8 Pin to 3.5mm headphone jack adapter, giving you a convenient way to use your iph 7 / 7 Plus/ 8 /X. The adapter is compact and light, so you can put it into your pocket or bag anytime and anywhere. Enjoy listening or talking with headphones and charging with power bank simultaneously when you go out.